Musicians of Galway, you ready for this? Heres some exciting news for musicians in Galway, my buddy Jamie O’Neill is launching his new business venture, Galway Rehearsal Studios.The facility will be opening soon and he is taking bookings. become residents in one of 8 other equally big bright shiny empty rooms where their own gear can be left set up and stored in a highly secure, safe warehouse with excellent load-in access (including a lift) and plentiful free parking, insurance and lots of music supplies (leads, sticks, strings, batteries etc) and pinball, fizzy drinks, free tea/coffee etc available. Bands who move into Galway Rehearsal Studios never have to book, and can jam a much as they like from 10am to 2am every day of the year. The rooms are soundproofed to professional standards, bright and comfortable. 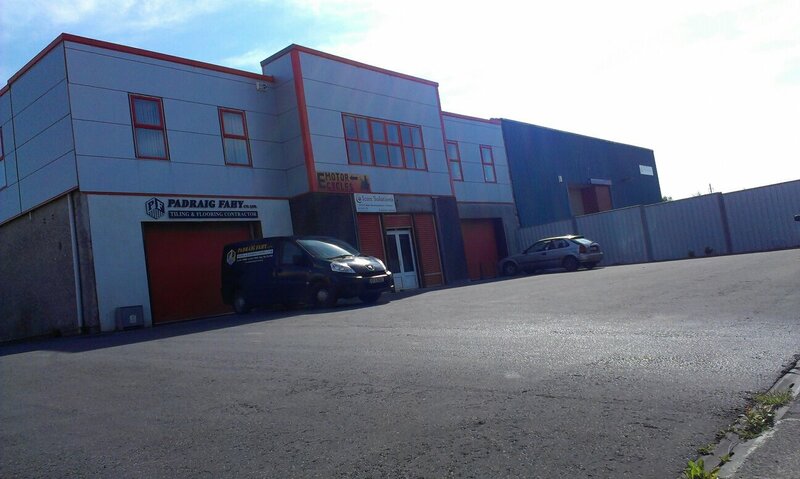 Based in Ballybane Industrial Estate, the premises is close to all main routes (City, Tuam, Headford and Dublin Roads) and as mentioned, has loads of free parking. All that from 20 euros per person per week! 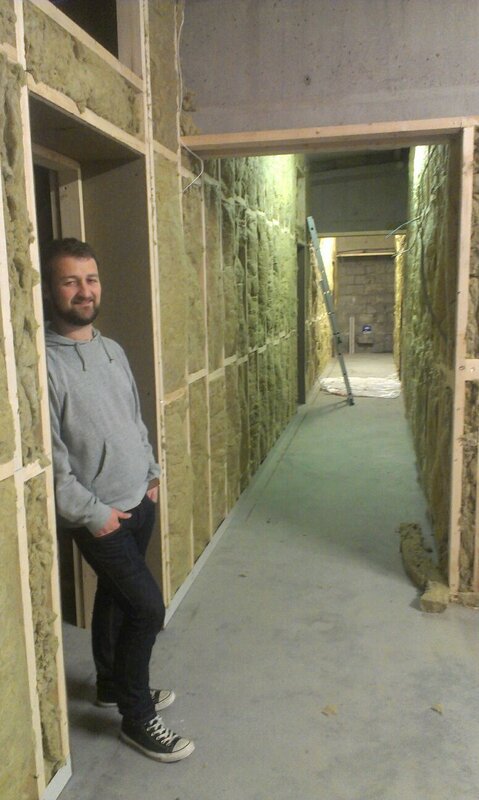 Jamie has worked towards this for a couple of years now and he’s real excited about opening the doors. Jamie will also be teaching Drums from beginners to advanced, Guitar to intermediate level and will be introducing a new Group Music Learning approach into the school, whereby all new students will be learning together, each student learning the basic chords, scales and theory on guitars and keys, and learning basic drum beats, essential rudiments and rhythm techniques. These classes are 15 Euro per student for hour long group lessons, limited to a max of 6 students per hour. The extra space varies from highly finished, well insulated rooms with floor to ceiling mirrors, lighting and stage curtains to basic warehouse/storage space that can be adjusted to the needs of different projects. Everyone knows how difficult it can be to get affordable working and/or storage space in Galway so please don’t hesitate to call Jamie on 085 8484 707 to discuss your needs/ideas. Short or long term space is available. Jamie has managed to find a very sound landlord who backs his vision of a music and arts space or hub where complimentary activities take place and like-minded tenants help each other out. Great post, Great content, Great blog!!! Keep up the amazing work! You guys are my heroes! I’m in a band called ergot fire. We’ve had nowhere to practise for months, our album is out this month! I’m sure us guys will be in contact with Jamie! ha ha! love the “hipster dufus musician just hanging out” That is funny….